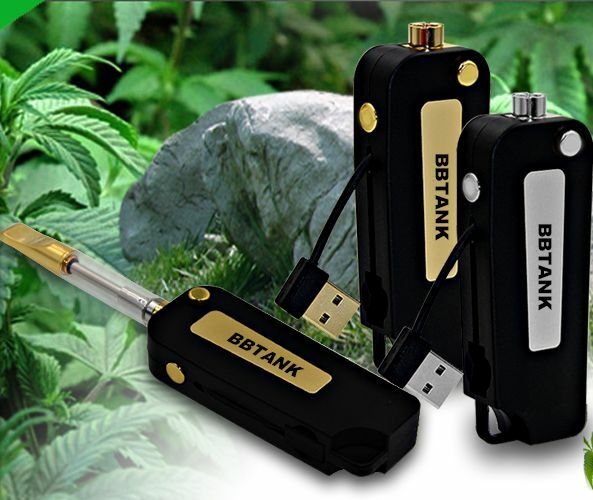 The BBTank Key Box Vape Battery is a compact pocket battery for use with 510 threaded essential oil atomizers that is designed to mirror the appearance of a high end car key fob for stealth use on the go. This innovative vaporizer features a 510 threaded connection that replaces where the key would be on an actual key fob. Once your atomizer is connected it can be housed within the vaporizer itself when not in use and once your ready to vape simply press the front facing button and your tank will flip open for use in just a moment's notice. 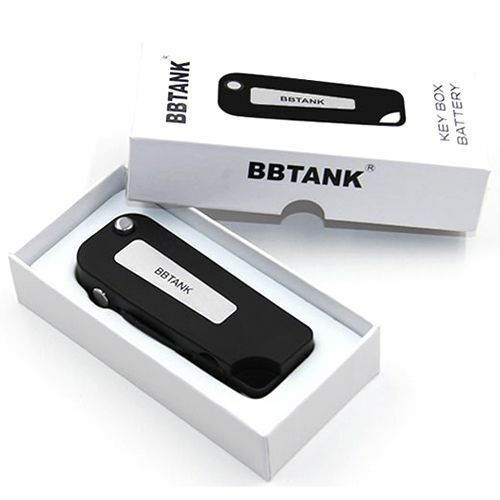 Each BBTANK Key Box comes equipped with an embedded 350mAh lithium-ion battery that will provide a constant 3.7V of power. This battery will provide days of use before eventually needing a recharge, when that time comes use the included USB charging cable to achieve a full recharge in just around 4 hours. 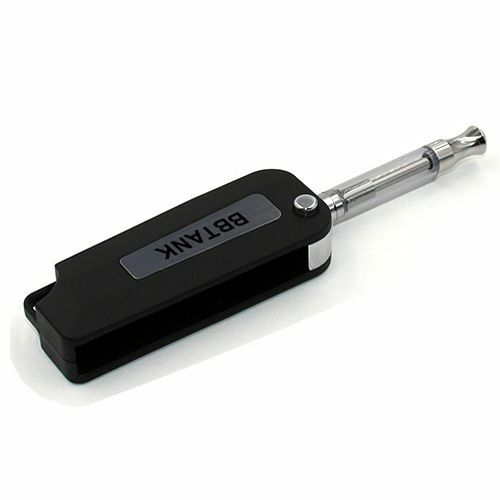 Unlike many other similar vaporizers, the Key Box Battery's USB charger is built directly into the device, ensuring you are always able and ready to get a quick recharge no matter where you go. Once you have connected to the attached USB charger the LED indicator will shine red to show charging has begun and when it turns green you have achieved a full recharge. Once you have your atomizer connected to the Key Fob vaporizer, press the power button on the side of the device 5 times within 2 seconds to unlock/power on the battery. From here you can then simply just press and hold the power button down to begin heating your atomizer. After about 15 seconds of continuous heating the Key FOB Vape Cartridge Battery will automatically cut power off to your atomizer to prevent over-heating/damage. Finally, a key ring can be found on the bottom of the device. This feature allows you to hide your favorite essential oils right in plain sight on any set of keys for ultimate discretion when on the move. Invest in the Key FOB Style Vape Cartridge Battery today and never leave home without your favorite essential oils again! Please note this listing is for the Key FOB Vape Battery only, any atomizers/cartridges do not come included with this device and will need to be purchased separately. Dimensions: ~1" x 0.75" x 4"